--Keith Knight, "the K Chronicles", "(th)ink"
"With America's most treasured values under relentless assault, Mikhaela Reid's cartoons keep the barricades bearable." Mikhaela B. Reid is an award-winning political cartoonist and illustrator whose work has appeared in the Los Angeles Times, The Guardian, the now-defunct Boston Phoenix, Bay Windows, In These Times, Ms., The Funny Times, The Advocate, and other assorted fine publications. In 2010, she was elected vice-president of the Association of American Editorial Cartoonists. That same year, she was awarded the Excellence in Journalism Award (2nd place for Editorial Cartooning) by the Detroit Society for Professional Journalists. In 2006, she was named one of Girls in Government’s Real Hot 100 young women for her cartooning work. Mikhaela grew up in Lowell, Massachusetts, where she attended Lowell High School and served as president of the Lowell High School Rainbow Connection Gay/Straight Alliance. She later attended Harvard University where she studied social anthropology and photography, edited the magazine Diversity & Distinction and drew weekly political cartoons for the Harvard Crimson. 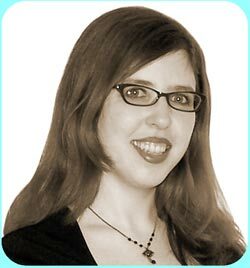 Outside of cartooning, from 2003-2006 she worked as an information graphics designer at the Wall Street Journal, then moved on to running an art studio as production manager at United Media. She currently works in nonprofit marketing, where she raises big money for an amazing cause. Mikhaela lives in New York with fellow cartoonist Masheka Wood and their two cartoonist children. Her Wikipedia entry is totally inaccurate and she is fully aware this blog design dates back to when she started it in 2001, but is too busy to care (much). Questions? Comments? Compliments? E-mail me at boilingpointcartoon@mac.com. so please let me know if you don't wish to be quoted!